Open shoulder Judith dress is a great elegant outfit for all types of occasions. It is especially popular with wedding guests. 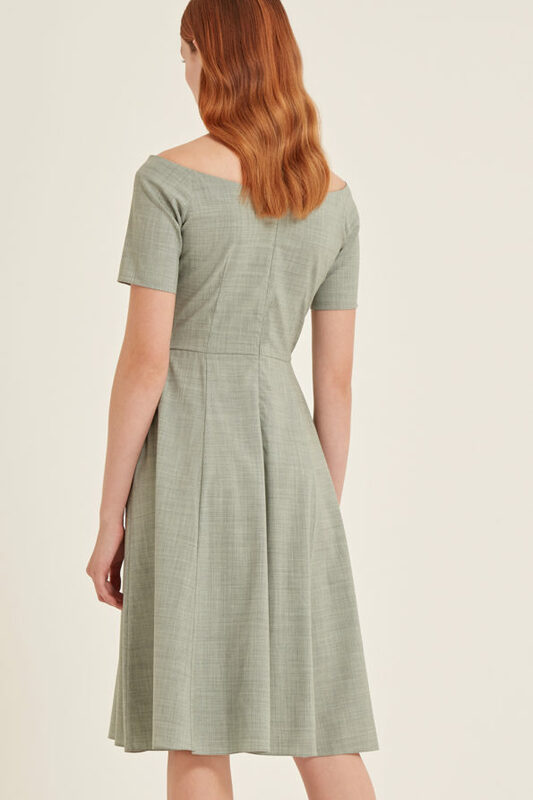 The dress has one pocket on each side. Developed and made in the UK.